Building regulations, and both international and national standards, are fundamental to successful building and construction projects, both big and small. It doesn’t matter whether you are building a garden shed out of timber, a modest family home from bricks and mortar, a skyscraper made by pouring concrete into massive shuttering, or a building that incorporates a range of materials, if correct construction procedures are not followed, the structure could collapse with disastrous – if not deadly – results. 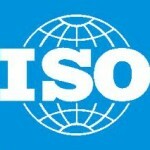 Every country in the so-called first world has building regulations, as do many developing countries, including South Africa.There are also international standards developed and published by the International Organisation for Standardisation (ISO), a worldwide organisation that is based in Geneva, Switzerland. 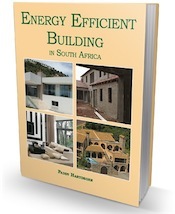 This web site has been established to provide South Africans with invaluable information about our local National Building Regulations as well as international building regulations, including those devised by the ISO. 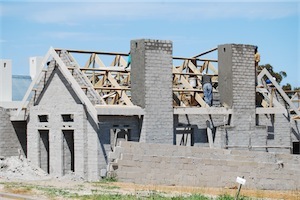 We focus on the national standards that are developed and published by the South African Bureau of Standards (SABS) and give information about some of the most important South African National Standards (SANS) that relate to building a house and building design in general. There is also information about building regulations and building standards in other key countries including Europe, the United Kingdom (UK), the United States of America (USA), Canada and Australia. We have a section for architects and builders, where a selection of advisory pdf documents may be downloaded FREE. These were produced by the Department of Public Works, and they provide information that both professionals and owner-builders wanting to self build will find useful. South Africa’s National Home Builders Registration Council (the NHBRC), established in 1995 in an endeavour to regulate and improve standards in the building industry, undoubtedly plays an important role in the local building industry. For this reason we have also included a section that explains their role, pointing both commercial and, in fact anyone building a house in the right direction. Of course building regulations don’t only apply to new structures. If you are planning to alter your home, you will need building plans that will have to be approved by your local authority or municipality. So we also cover building alterations and home improvements in general. You will find invaluable tips for both indoor and outdoor improvements and additions, from swimming pools to patios and built-in braais or barbecues, as well as bathrooms and kitchens. We will help you ascertain which building laws and regulations you need to consider before either building or demolishing all types of structures. Check out our link and our free downloads section which includes both web sites and publications that could provide you with the information you are looking for. We welcome your comments and will do all we can to answer your queries (which we try our best to do on a daily basis) – or at least help you find answers to them. IF we bought a prebuilt home with thatch and it has a lightning conductor – what do we need to do to ensure it is safe? This article has some useful information. Hi there ,is there a regulation that states that the supply to your distribution board has to be underground if you only want to move your distribution board from one wall to another in your kitchen after expending the kitchen. Electricity doesn’t fall under SANS 10400 but rather SANS 10142, The wiring of premises. So either get a copy of this (buy or read in an SABS library) – I unfortunately don’t have a copy – or ask a registered electrician. I’m looking for a copy of the full National Building Regulations (not the Act). I have searched everywhere and cannot seem to find one to download or buy. Must my home builder, who is constructing a garden shed of 9 square metres (which structure has foundations), together with an outdoor toilet, which is integrated with the shed by means of a connecting roof – all of which do have the necessary approved plans – be registered with the NHBRC as a home builder? Furthermore, do home builders, effecting minor building works, have to be registered with the NHBRC? Only NEW homes must be registered with the NHBRC. Alterations and additions do not need to be. The NHBRC builders list is a good place to find out if the builder is reputable or not. The other place to check on a builder is the Master Builders Association. In the introduction above it states that alterations are also covered by the NHBRC. How does your reply gel with this? Richard, I presume you mean Janek’s response to John, that you only need to register new houses with the NHBRC. The introduction above DOES NOT state that alterations are also covered by the NHBRC – it states “Of course building regulations don’t only apply to new structures.” Building regulations … not the NHBRC rules and regs. what distance must a co2 fire extinguisher be installed from your db board? 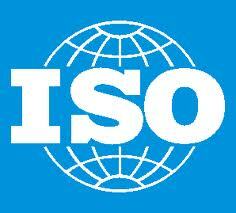 Hi Karin, The SANS 10400 Part W-Fire Installations deals only with the water based installations of fire equipment. You will have to check with the local council inspectors what the minimums are. Most times it comes down to common sense, so the CO2 extinguisher should not be mounted too close so that if a fire occurs then you might be in danger of being burnt when you try to get to the extinguisher. We live in Gauteng and bought a vacant stand, how difficult will it be to get plans approved if we want to erect log cabins, 1 bachelor, one 1 bedroom and one 2 bedroom units? Lida if the plans are drawn up so that they comply with the National Building Regulations, and you have permission to build multiple units, then you shouldn’t have a problem. You do not need plans for pools in Jhb (you just need to let them know what you are doing and you must adhere to building lines etc), but you do for most other local authorities. If you have already signed all the documents for the purchase of the house then you have bought the house with all the problems attached. You could ask your attorney to request that they supply the as-is plans. Having said that, if the new approved plans for alterations were never started then there should not be a problem to submit new plans with the alterations that you want. Most councils “should” not have archived the original plans until the completion of any renovations so they must still be available at council. If you are still a prospective buyer then you can insist that the correct approved plans are supplied to you before you purchase the house.